I’m with you! Some of the most satisfying photographs that I’ve taken satisfy me and not many others. Fortunately I don’t have to rely on others to judge what I like or don’t like. Don’t get me wrong, I love to have positive feedback from others, but in the end if I’m not pleased then it doesn’t work. Gary- the beauty of these photos is the inspiration that they bring to me. Viewing your work helps open my eyes to see how to shoot in a different way, rather than the “traditional” way. Thanks for the time and effort that you put into your images. Nice set of photos. Persistence has its rewards. 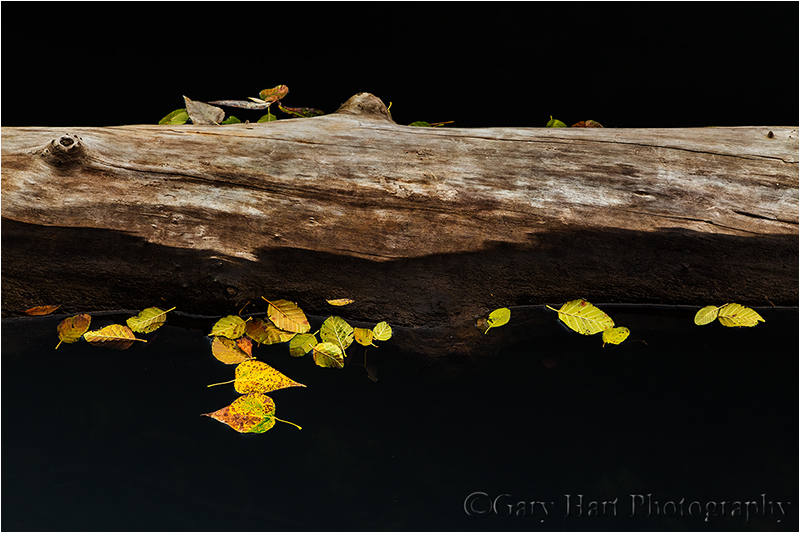 I like the black frame bisected by the twisted log and its subtle reflection. The colorful anchors help to pull in the eye.